Forex traders can use their net losses to reduce their tax liability. Traders on the foreign exchange market, or Forex, use IRS Form 8949 and Schedule D to report their capital gains and losses on their federal income tax returns. Forex net trading losses can be used to reduce your income tax liability. However, the IRS limits the loss amount you can deduct each year and traders must calculate the amount accurately. Review your monthly brokerage statement and match up each Forex trade’s buy and sell side. Do not include short or long term trades that are still open. Go to the IRS website and download Form 8949 and Schedule D. After entering your name and Social Security number on Form 8949, select the box that corresponds to your IRS reporting basis. Start with Part 1 if you held the assets for one year or less. Move down to line 1a and fill in a description of the property. In column c, enter the month, day and year you purchased the currency pair, and in column d, enter the month, day and year you sold it. Enter the sales price in column f, and the cost in column g. Enter this information for all your trades. Add the total of columns f and g and enter the information on line 2. Fill in Part II, Long Term Capital Gains, for assets held longer than one year. Complete the form the same way you did for Part I. Put any negative amount in parenthesis. Transfer the totals on Form 8949, Part 1, Line 2, over to Schedule D, Part I, line 1, 2, or 3. Remember to enter the information on the line that corresponds to the box you checked on Form 8949. Now transfer the totals on Form 8949, Part II, Line 2, over to Schedule D, Part II, line 8, 9 or 10, depending on the box you checked on Form 8949. In Schedule D, Part 1, go to the line you selected and subtract column e from column f and enter the result in column h. Repeat the same steps for the information you entered in Schedule D, Part II. Put any negative amounts in parenthesis. Add up the gains and losses entered on Parts I and II of Schedule D. The IRS limits the amount of loss you can claim to $3,000. If the loss is less than $3,000, you can claim the entire amount. If the loss is greater, you can only deduct $3,000, but you can carry the amount that remains over to next year’s taxes. 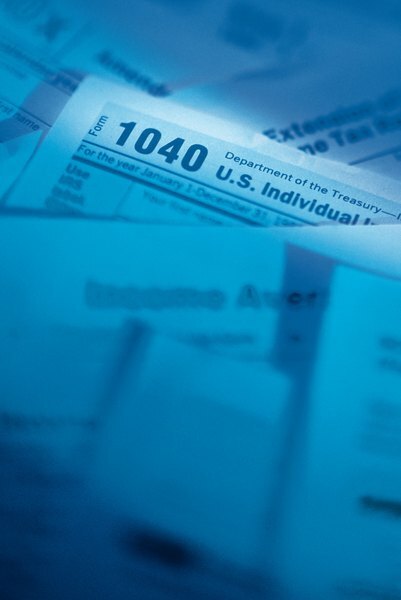 File Form 8949 and Schedule D with your Form 1040 Federal Income Tax Return. File your return timely to avoid any late filing penalties that would reduce the benefit of your claimed Forex losses. Can Loss in Futures Be Claimed as an Ordinary Loss? How do I Report Stocks on Federal & State Income Taxes?